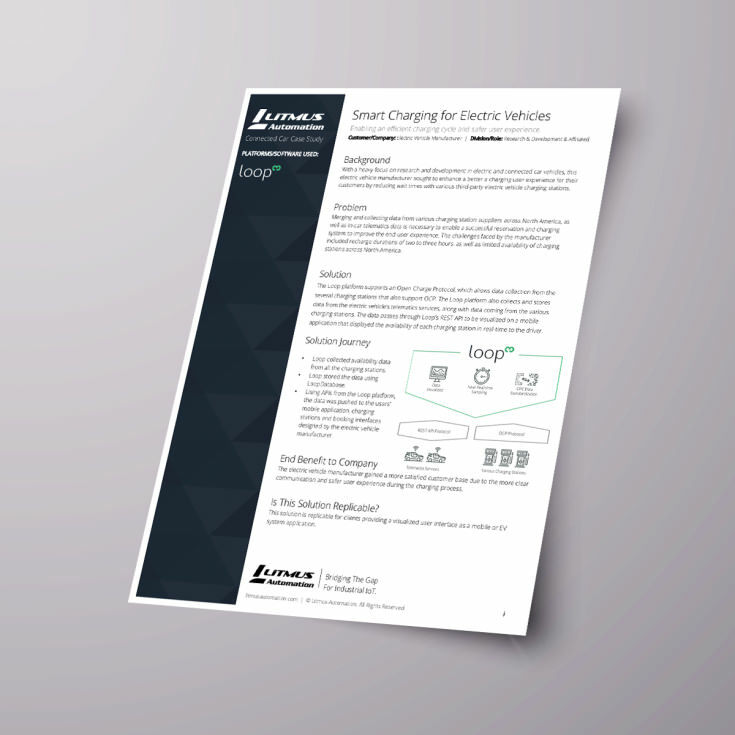 Use Loop and LoopEdge to merge and collect data from various charging station suppliers across North America, as well as in-car telematics services. The Loop Platform can connect easily to almost all charging stations across North America that use the Open Charge Point Protocol. Enable a successful reservation and charging system for a better end-user experience.